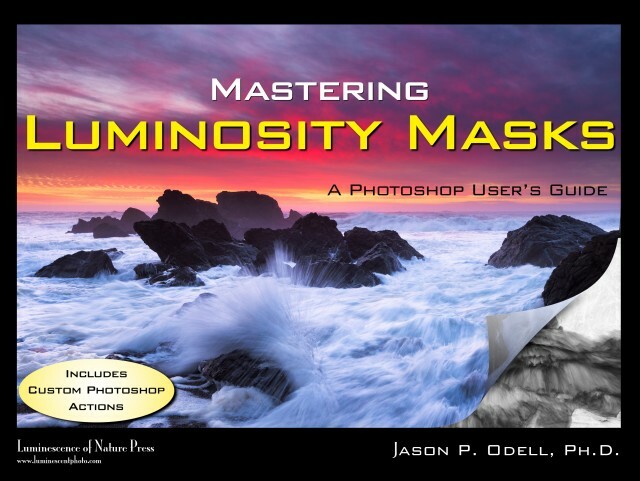 Mastering Luminosity Masks is a complete guide to creating and using Luminosity Masks in Adobe Photoshop, by Jason P. Odell. Mastering Luminosity Masks includes step by step instructions for creating powerful image adjustments in Photoshop with luminosity masks. Luminosity masks are one of the hottest image adjustment techniques in Adobe Photoshop. These masks allow you to selectively apply adjustments and effects that are targeted to specific tone ranges, such as shadows, highlights, and midtones. These targeted adjustments are perfectly blended into your images without requiring brushes or other selection tools. Because luminosity masks are based on your own images, they blend in perfectly every time. With Mastering Luminosity Masks, you’ll quickly learn how to create 23 different luminosity masks and use them to adjust your images in Photoshop. I’ve also included a complete set of custom Photoshop Actions that allow you to effortlessly create all the masks described in the book. 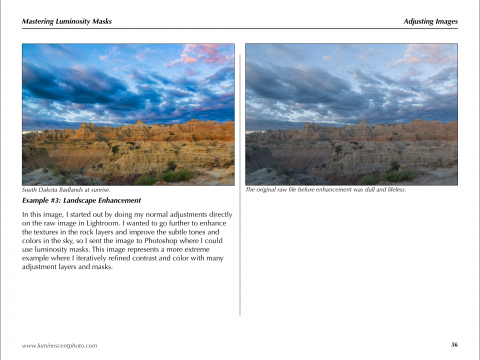 Mastering Luminosity Masks Table of Contents Special Note: This product contains multiple files and is delivered as a ZIP archive. To download the files to an iPad, you will need a free ZIP utility, such as iZip for iOS. Android users should consider using WinZip. Otherwise, download and extract the files to a Mac or PC and then transfer them to your tablet device.